If you’re an email marketer, and you should be, pay attention to what’s going on with the free email services and your subscriber lists. The first to play havoc on their email customers is Yahoo. Yahoo recently made a change to its DMARC ((Domain-based Message Authentication, Reporting, and Conformance) Policy, according to iContact. Well, maybe nothing, but if you send your subscriber emails through email services, such as iContact, Yahoo is bouncing the majority of them. They’ve bounced about 80% of my last four subscriber emails. This in itself is a problem, but add to this that there was NO notification, unless you were looking for it, DOUBLE YIKES! So, email marketers who found out after the fact, like me, had to resend their emails, which means about 20% of my subscribers will get duplicate email content for four messages. My sincere apologies to you, but 80% of those subscribing to The Writing World didn’t receive the emails. So, please bear with me. iContact notes that Yahoo’s purpose is to prevent suspicious or phishing attacks. So, if your ‘From Address’ is tied to yahoo.com and it’s not sent from one of their IPs, your email will be bounced. As with everything online, there are usually no solitary acts. Yahoo may be the first to implement this anti-spam bounce policy, but be assured that the others will follow. If you are using free email services like Yahoo and Gmail, change your “From Address” on your subscriber email lists to a paid service, use a domain that you control, one that’s connected to your website. If you’re not sure how to do this, ask your email marketing service provider for help. 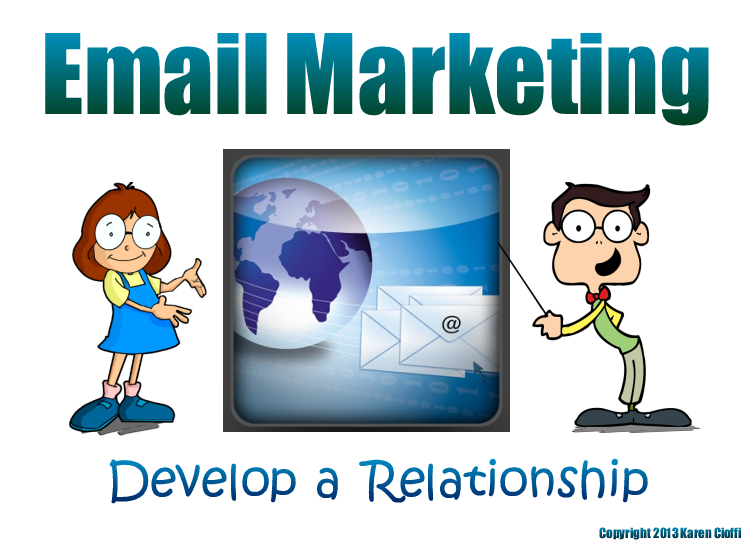 This workshop is an hour long and covers all the basics you'll need to know to get your email marketing up and running, and working right. And, it comes with 2 Bonus Handouts. And, it's only $20! 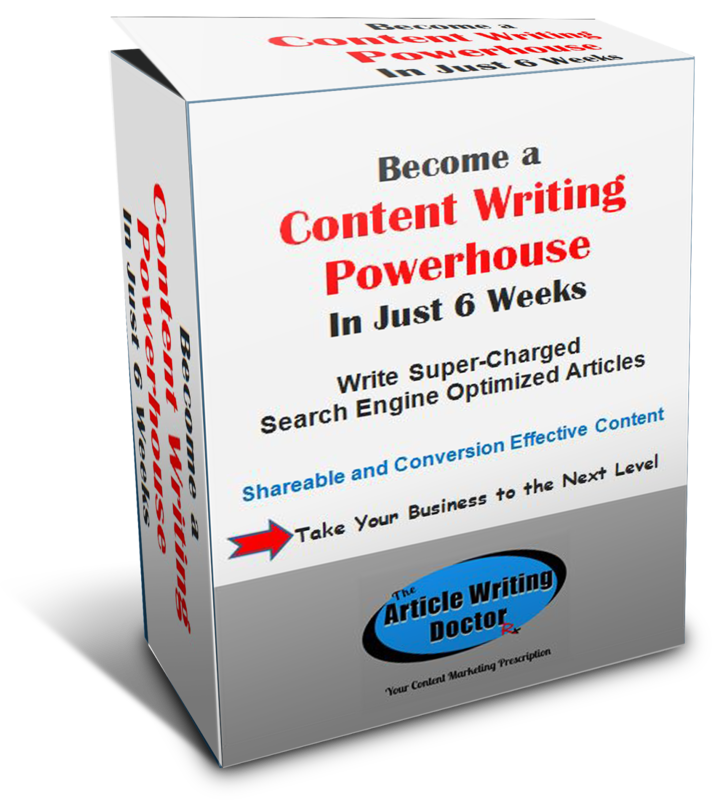 It's a must for authors and writers. 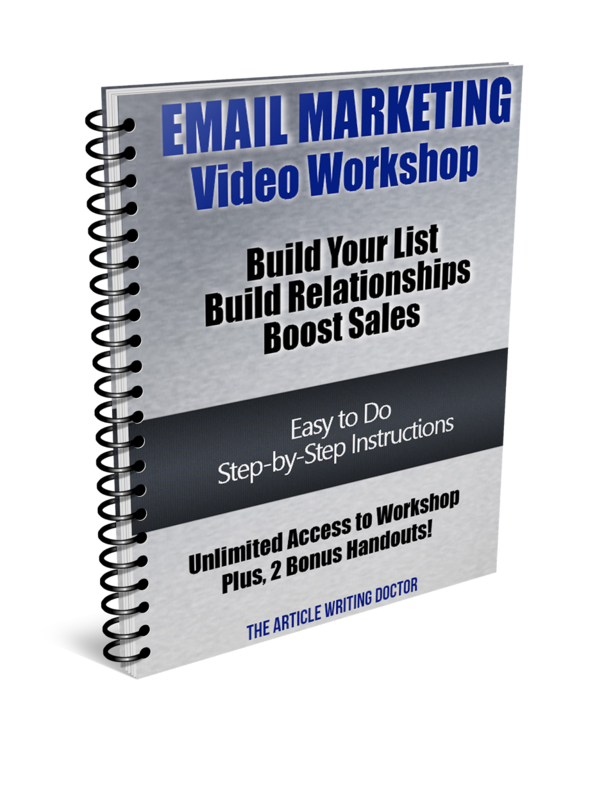 You absolutely need to build your subscriber list and know how to email market effectively.